Disney's Wine & Dine Half Marathon Weekend is just a little over a week away with its inaugural event happening October 1 - 3, 2010. There are few times of the year that generate more interest from Disney World fans than the start of the Epcot International Food & Wine Festival. This year Disney decided to top themselves and increase the excitement by adding a night time Half Marathon and exclusive party at Epcot to help kick off this year's Food & Wine Festival. Running was something that I was always lukewarm about. It wasn't something that I could ever get enough enthusiasm around starting. That was when I heard about the great running events that were hosted at Disney World. This piqued my curiosity. In 2009, I decided to run in the Race For The Taste 10K that was annually held in conjunction with the Epcot Food & Wine Festival. I had never run in a 10K previously, but the thought of running a race that went through 2 Disney World Parks (Hollywood Studios and Epcot) while they were closed, got my interest up. I trained somewhat for the race and successfully participated in it last October. It was a wonderful experience shared with over 4,000 other runners..
Disney had announced that the 2009 running of the Race For The Taste would be the last and that it would be replaced with something different in 2010. Shortly thereafter Disney announced that in 2010 they would be moving up to running a Half Marathon in conjunction with the Food & Wine Festival and instead of running early in the morning, this race would happen at night. 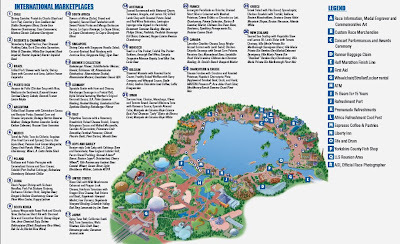 Due to the longer length this race, which would adopt a different Half Marathon course than the one run with the Disney Marathon in January, it would actually run through 3 different Disney World Theme Parks (Animal Kingdom, Hollywood Studios, and finish in Epcot). That had me hooked, and I have been training all year in order to work myself up to the Half Marathon Distance (13.1 miles). There is nothing like running with thousands of other runners through the Disney World Parks. It is truly an unforgettable experience. Taking full advantage of the Epcot Food & Wine Festival the other special change for 2010 is the addition of the Wine & Dine Half Marathon Finish Line Party that will be held in Epcot's World Showcase from 10:30 PM on October 2nd until 3:00 AM on October 3rd. This will be a hard ticket event at Epcot meaning that it will require a separate admission ticket similar to the Mickey's Not So Scary Halloween Party, and the party will start after the park has closed to normal guests. All registered half marathon and half marathon relay runners get free admission to the party. Additional friends and family can attend by purchasing the $35 per person tickets. The $35 fee gets you entrance to the party as well as one complementary Food Item and one complementary drink item (alcoholic or non-alcoholic). Additional food and drink is available for purchase, just like at the Food & Wine Festival. Details for Wine & Dine Half Marathon Finish Line Party have just been released and it sounds fantastic. All 26 of the Food & Wine Festival International Marketplace Kiosks will be in operation during the party serving up food to attendees. There will be three shows in the America Gardens Theatre during the evening, plus an awards ceremony for the top finishers. There will also Disney Character Meet & Greets and other special entertainment. The entire Epcot World Showcase will be part of the party! Here is the link to the down loadable Finish Line Party Guide. This guide lists all of the International Food Marketplaces that will be open during the party and all of the food and drink options available for purchase. This will be like renting out the World Showcase with a few thousand of your running buddies and their families for a private party. 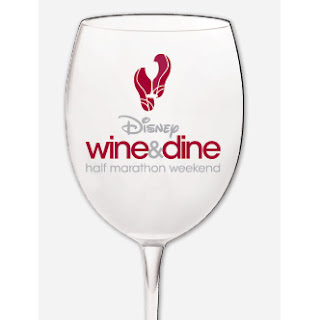 To purchase tickets for the Wine & Dine Half Marathon Finish Line Party (It needs a catchy acronym) call 407-WDW-IRUN! As of this writing the party is at 65% capacity so there is still time. I am really looking forward to running in the Half Marathon and attending this special party. My family isn't running, but will get to enjoy the party while they wait for me to complete my running. Hopefully they will be able to tear themselves away from the food to see me cross the Finish Line of my first ever Half Marathon! Shortly after the event expect to see another Only WDWorld post and a lot of pictures from the Finish Line Party and hopefully one with me wearing this proudly earned medal around my neck. 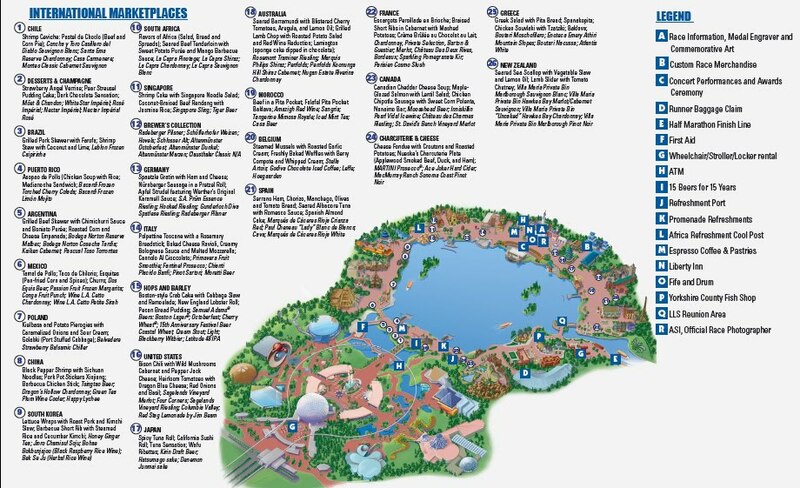 There are many reasons that people run during these Disney World Endurance Events. These are not all-star athletes in peak physical condition. Some of course are, but many are not. The great thing, no matter what the reason or inspiration, is that these people are running. They all deserve to be cheered, whether they finish first or last, they do finish, which is a big accomplishment. Believe me when I say that once you run a Disney World you will be hooked. You may not be inspired to run all of the time, but you will be inspired and take away many fond memories of the event. 2 comments to "Disney's Wine & Dine Half Marathon Finish Line Party"
I just love Disney World. There are three things that I love about Disney World. First, the beautiful places that I get to see, second, meeting people, and lastly, get to eat in some finest restaurant. Disney is indeed a luxurious place but it is also a great opportunity to enjoy and relax.